I started to suspect that I’d been misinformed before we even started walking. At the Pilgrim’s Welcome Gathering in Le Puy-en-Velay, Eric and I struck up a conversation with a friendly French woman who asked how far we would walk the next day. I told her the name of the town where we thought we would stop. “You do not have a reservation?” she asked, genuinely confused. Well, no. I didn’t even know that reservations were possible in gites. 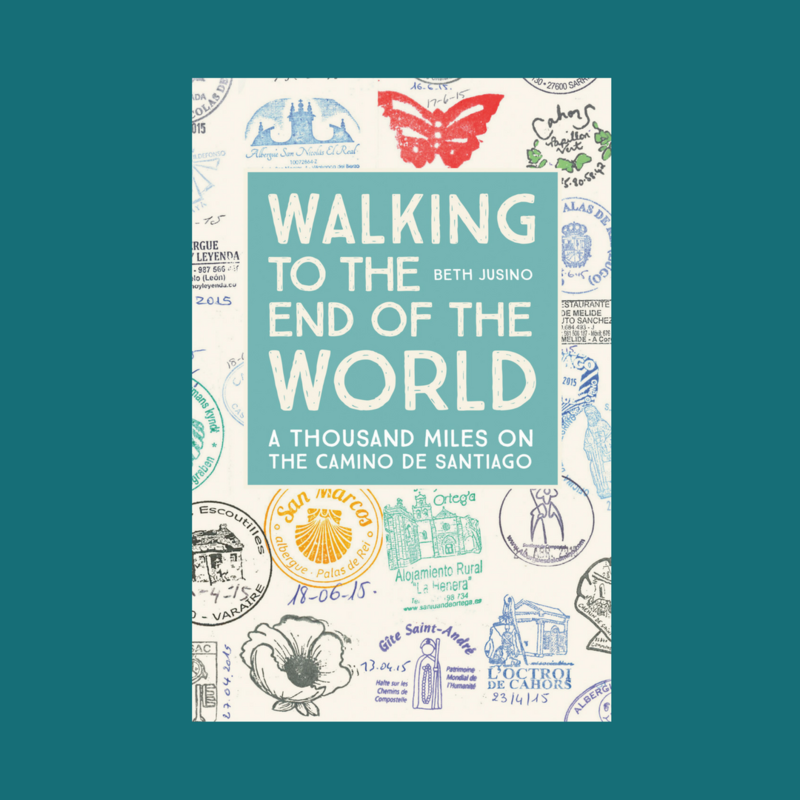 None of the Camino stories I’d read ever mentioned making reservations for pilgrim hostels. In fact, quite the opposite. Part of the experience of pilgrimage, I thought, was to walk into a town and trust that there would be a place to stay. The friendly woman was walking for just ten days with a larger group, so I tried to dismiss her words. Maybe things were different when you were on a tight schedule and needed accommodation for eight people. We were only two, and we had more flexibility. Our flight home was still three months away. This was evidently not just something that big groups did. All was not lost. The second gite we found in Saint-Privat had space for us, but I noticed that most of the other people who checked in that afternoon had made reservations. The next day we walked to Sauges, which involved some grueling climbs and descents. I was aching and grumpy by the time we got to town, but once again, the first gite we found was complet. A kind French pilgrim made phone calls for us until he found a place that had space for the two hapless Americans who were still too jetlagged and culture shocked to wander around a strange town, looking for signs we couldn’t yet read. That night at dinner, another pilgrim offered to call ahead for us to Les Sauvages, where we wanted to stay the next day. The gite there was remote, she said, in a former monastery set in the middle of wild, open country, so there wouldn’t be other options for us if it didn’t work out. Once again, the Camino was providing. Les Sauvage was complet. There was a firemen’s convention taking up half their space, and it was a weekend, when the trails filled with shorter-distance walkers. Our new Camino angels called around and found us beds in another town. Lesson learned. When walking the Camino (the Chemin) in France, from that point on we called ahead. There are a few reasons why the French prefer reservations, and they all make sense. The first is that the Chemin du Puy is more remote than the popular Spanish routes, and gites are smaller. A private gite might only have room for 8 or 10 people, and a municipal rarely held more than 20. They fill quickly, and especially in the rural areas, there may not be another option for several kilometers. Also, the French walking schedule tends to be later. In Spain, pilgrims wake before dawn and are on the trail in the dark. Many finish their walking days by mid-day. In France, everyone is more likely to have a leisurely morning, with communal breakfast at eight and walking by nine. Many gites don’t open until 3 or 4:00 in the afternoon, and that’s a bit late to be scrambling around, trying to find a bed. Finally, French gites often offer demi-pension, which includes a full four-course dinner, a bed, and breakfast all in the same place. It makes sense that a host who is not just making beds but also dinner wants to know before 4 or 5:00 how many people to prepare for. Those meals turned out to be highlights of the trip, by the way, with opportunities to not only sample local cuisine, varied and always delicious, but also to talk to fellow travelers (and sometimes to ask them to call ahead and make the next day’s reservations for you). It’s worth calling ahead to save your space. If you’re considering or planning your own Chemin, none of this means that you need to schedule your entire itinerary before you leave home. You can plan just a day or two in advance. 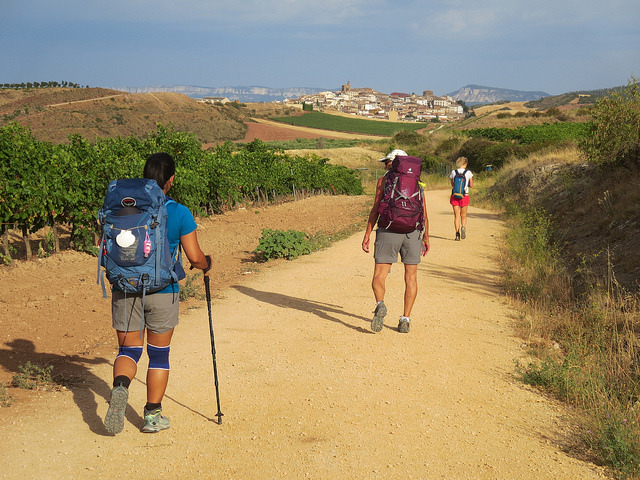 In the afternoon or evening, after you’ve arrived at your destination, find your Camino family and pull out your Miam Miam Dodo, or Robert’s spreadsheet of GR65 housing from the Via Podiensis Facebook page, and talk about the next day. What’s the weather? How is your body feeling? Where are your friends going? If you don’t speak French, ask a fellow pilgrim or even your gite host if they will call ahead for you to reserve your bed. Almost every person I met in France was kind and generous, always willing to help translate when I needed it. And then sleep well, knowing that you’ll have a bed the next day. in 2017 when we walked 9 days, I had booked all our gites before leaving Canada. As we are going back this year I was thinking not to book ahead ( I made some plans where we should sleep) but now I am changing my mind and will start to book. I would have prefer to”play it by ear” but it seems that I don’t need the stress of not knowing if I will have a bed. Hum ! Sleeping is so important when you walk all day for many days.